Oooh, kinda creepy! And thanks for the link. That building will be cool! I wouldn't want to work on the high floors, but hey. It'll still be gorgeous to look at. Beautiful! 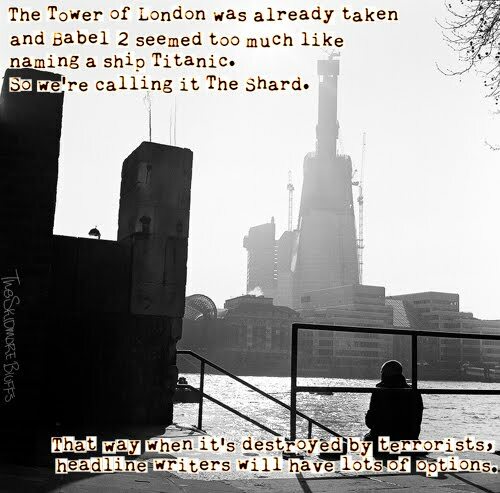 But I hope no-one attacks it as London Bridge station is underneath.